Wouldn’t it be great if one vitamin could build stronger bones and protect against diabetes, multiple sclerosis, cancer, heart disease, and depression? Or even help you lose weight? While research doesn't support the idea of a "wonder pill," some researchers still have high hopes for vitamin D -- which comes from our skin's reaction to sunlight, a few foods, and supplements. Learn the facts in the slides ahead … and see who's at risk for a "D" deficiency. Vitamin D is critical for strong bones, from infancy into old age. It helps the body absorb calcium from food. 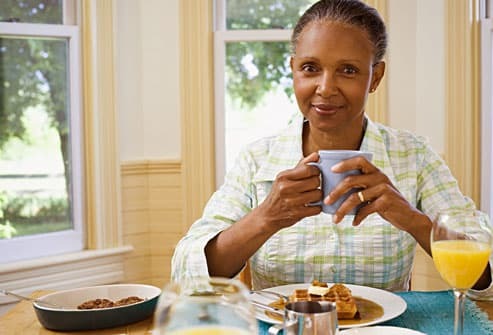 In older adults with osteoporosis, a daily dose of "D" and calcium helps to prevent fractures and brittle bones. It also has been shown to help reduce falls in elderly community dwellers. Children need "D” to build strong bones and prevent rickets, a cause of bowed legs, knock knees, and weak bones. Adding the vitamin to milk in the 1930s helped to nearly eliminate rickets. 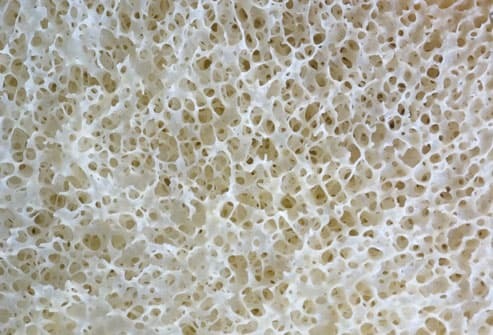 Shown here is the honeycombed structure inside a healthy bone. Multiple sclerosis (MS) is more common far away from the sunny equator. For years, experts suspected a link between sunlight, vitamin D levels, and this autoimmune disorder that damages the nerves. One newer clue comes from a study of a rare gene defect that leads to low levels of vitamin D – and a higher risk of MS. Despite these links, there's not enough evidence to recommend vitamin D for the prevention or treatment of MS. Some studies have shown a link between a low vitamin D level and type 1 and type 2 diabetes. 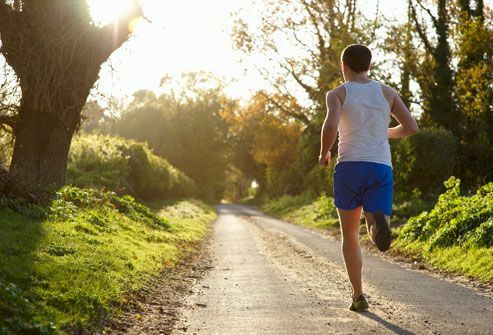 So, can boosting your vitamin D levels help ward off the disease? There's not enough proof for doctors to recommend taking this supplement to prevent diabetes. While we know obesity is a risk for both vitamin D deficiency and type 2 diabetes, we don’t yet know if there is a causal relationship between diabetes and vitamin D levels. 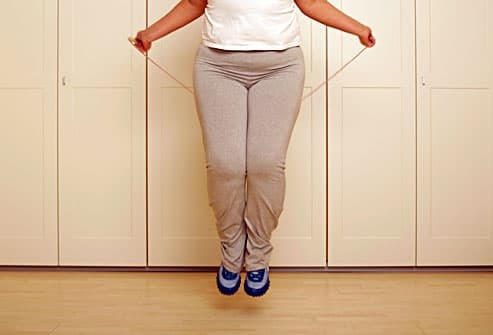 Studies have shown that people who are obese often have low blood levels of vitamin D. Body fat traps vitamin D, making it less available to the body. It's not clear whether obesity itself causes a low vitamin D level or if it's the other way around. But one small study of dieters suggests that adding vitamin D to a calorie-restricted diet may help overweight people with low vitamin D levels lose weight more easily. But more evidence is needed to confirm that benefit. Vitamin D plays a role in brain development and function, and low levels of vitamin D have been found in patients with depression. But studies don't show that Vitamin D supplementation will help reduce the symptoms of depression. 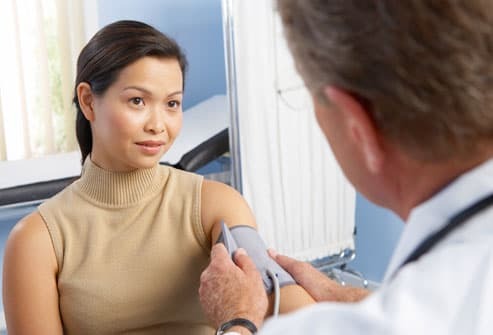 The best bet is to talk with your doctor about what might help reduce the symptoms of depression. 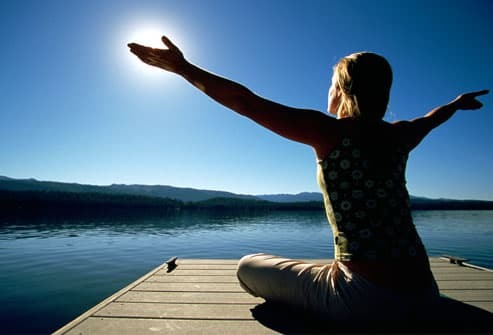 How Does Sun Give You Vitamin D? Most people get some vitamin D from sunlight. When the sun shines on your bare skin, your body makes its own vitamin D. But you probably need more than that. Fair-skinned people might get enough in 5-10 minutes on a sunny day, a few times a week. But cloudy days, the low light of winter, and the use of sun block (important to avoid skin cancer and skin aging) all interfere. Older people and those with darker skin tones don’t make as much from sun exposure. Experts say it's better to rely on food and supplements. 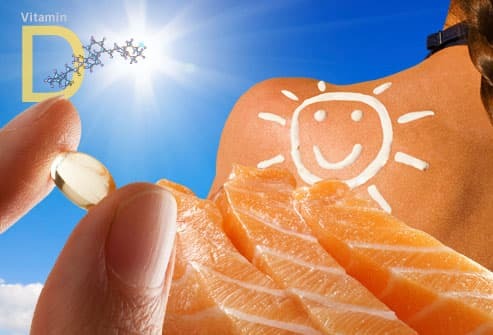 Many of the foods we eat have no naturally occurring vitamin D. Fish such as salmon, swordfish, or mackerel is one big exception and can provide a healthy amount of vitamin D in one serving. Other fatty fish such as tuna and sardines have some "D," but in much lower amounts. Small amounts are found in egg yolk, beef liver, and fortified foods like cereal and milk. Cheese and ice cream do not usually have added vitamin D.
Choose your breakfast foods wisely, and you can get a substantial amount of vitamin D. Most types of milk are fortified, including some soy milks. Orange juice, cereal, bread, and some yogurt brands also commonly have added vitamin D. Check the labels to see how much “D” you’re getting. 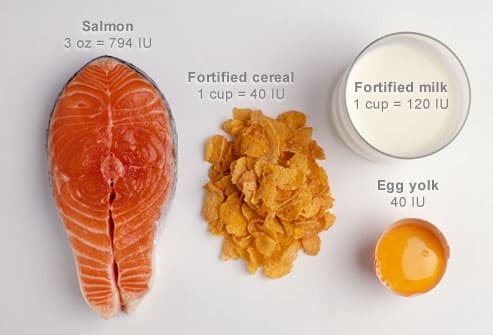 Eating D-rich foods is the best way to get vitamin D. If you still need help getting enough, there are two kinds of supplements: D2 (ergocalciferol), which is the type found in food, and D3 (cholecalciferol), which is the type made from sunlight. It's recommended for some because it can help improve absorption of natural vitamin D. Both supplements are produced differently, but both can raise vitamin D levels in your blood. Most multivitamins have 400 IU of vitamin D. Check with your health care provider for the best supplements for your needs. Using sunscreen can interfere with getting vitamin D, but abandoning sunscreen can significantly increase your risk for skin cancer. So it's worth looking for other sources of vitamin D in place of prolonged, unprotected exposure to the sun. Most people with low blood levels of vitamin D don't notice any symptoms. 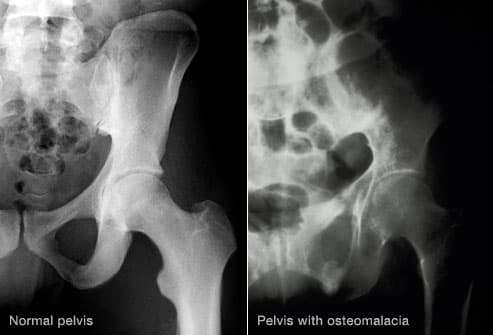 A severe deficiency in adults can cause soft bones, called osteomalacia (shown here). 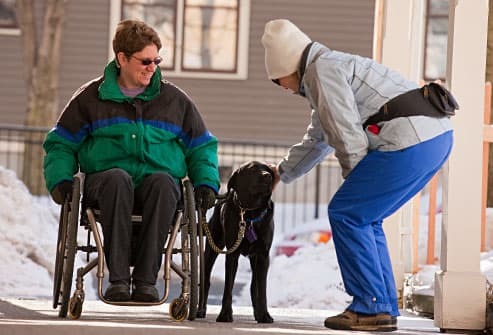 The symptoms include bone pain and muscle weakness. In children, a severe deficiency can lead to rickets and symptoms of soft bones and skeletal problems. Rickets is rare in the United States. There's a simple blood test used to check your vitamin D level, called the 25-hydroxyvitamin D test. 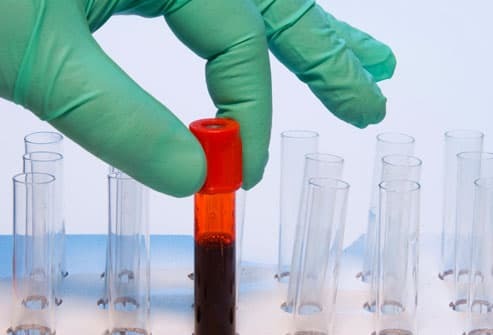 Current guidelines by the Institute of Medicine set a blood level of 20 nanograms per milliliter (ng/mL) as a goal for good bone health and overall health. 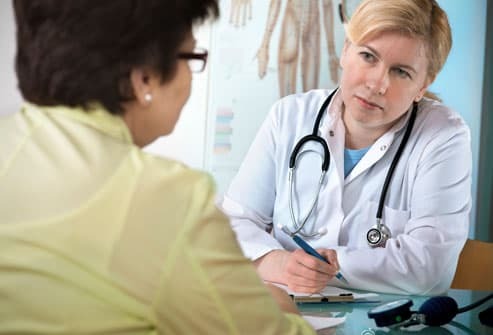 However, some doctors say people should go higher, to about 30 ng/mL to get the full health benefits of vitamin D.
The recommended dietary allowance for vitamin D is 600 IU (international units) per day for adults up to age 70. People aged 71 and older should aim for 800 IU from their diet. Some researchers recommend much higher doses of vitamin D, but too much vitamin D can hurt you. Above 4,000 IU per day, the risk for harm rises, according to the Institute of Medicine. 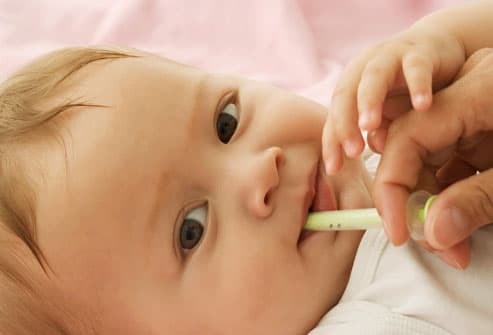 Breast milk is best, but it doesn’t have much vitamin D. Breastfed babies need 400 IU of vitamin D until they're weaned to fortified formula and can drink at least one liter (about 4 ¼ cups) every day. Starting at age 1, babies drinking fortified milk no longer need a vitamin D supplement. Be careful not to give too much vitamin D to babies. 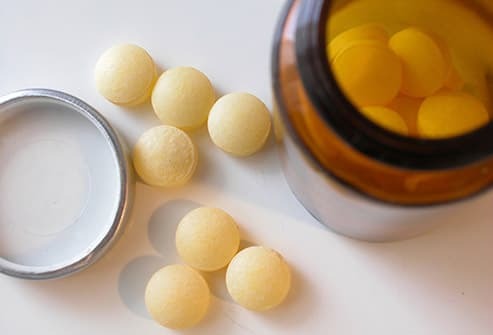 High doses can cause vitamin D toxicity with symptoms such as nausea, vomiting, loss of appetite, excessive thirst, muscle aches, or more serious issues. Most children and adolescents don’t get enough vitamin D from drinking milk. They should have a supplement with 400 IU to 600 IU. That amount is often included in chewable multivitamins. Children with some chronic diseases such as cystic fibrosis may be at increased risk for vitamin D deficiency. Talk to your child’s doctor about the need for extra vitamin D.
How Much Is Too Much Vitamin D? 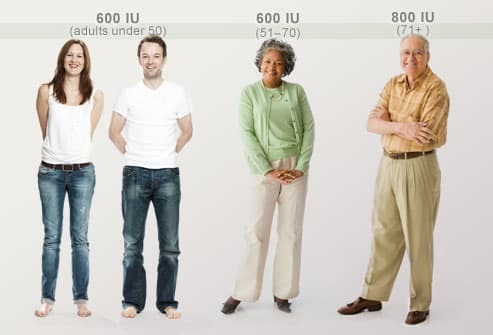 Some researchers suggest taking far more vitamin D than the 600 IU daily guideline for healthy adults. But too much be dangerous. Very high doses of vitamin D can raise your blood calcium level, causing damage to blood vessels, heart, and kidneys. The Institute of Medicine sets the upper tolerable limit at 4,000 IU of vitamin D per day. You can’t get too much vitamin D from the sun. Your body simply stops making more. But sun exposure without sunscreen can raise your risk of skin cancer. 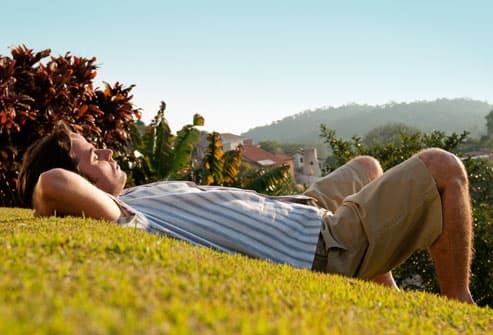 Some drugs cause your body to absorb less vitamin D. These include laxatives, steroids, and anti-seizure medicines. If you take digoxin, a heart medicine, too much vitamin D can raise the level of calcium in your blood and lead to an abnormal heart rhythm. It's important to discuss your use of vitamin D supplements with your doctor or pharmacist. It’s too soon to make a strong case for vitamin D as an overall cancer-fighter. 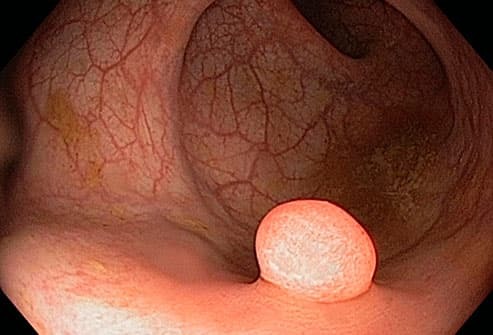 But some earlier studies suggested that people with higher levels of vitamin D in their blood may have a lower risk for colon cancer. Later studies haven't been consistent in finding a link. Headlines tout vitamin D as a way to prevent breast and prostate cancer. But researchers don’t have enough evidence to say that the benefits are real. And, vitamin D may boost the risk of pancreatic cancer. The VITAL Study -- a Harvard university study -- of vitamin D and omega-3 is following 20,000 volunteers to find answers. In the meantime, a healthy body weight, regular exercise, and the diet guidelines of the American Cancer Society may help prevent cancer. But current data does not support using Vitamin D to prevent or treat any type of cancer. Low levels of vitamin D have been linked to a greater risk of heart attack, stroke, and heart disease. Still, it’s not clear whether boosting vitamin D will reduce heart risks and how much vitamin D is needed. Very high levels of vitamin D in the blood can actually harm blood vessels and the heart by increasing the amount of calcium in the bloodstream. 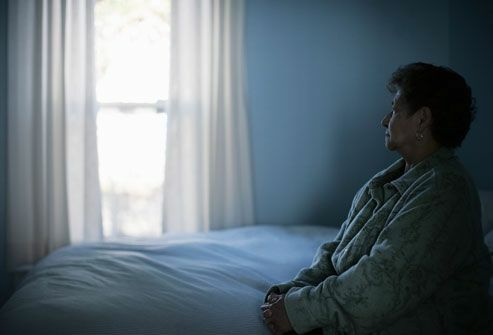 Older people are more likely to have vitamin D levels that are too low. 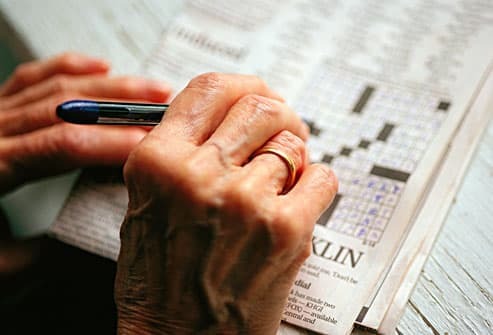 Researchers found that older people with vitamin D deficiency performed poorly on tests of memory, attention, and reasoning compared to people with enough vitamin D in their blood. Still, better studies are needed to learn if vitamin D supplements could prevent, slow, or even improve dementia or mental decline. Bertone-Johnson ER. Nutritional Review. August 2009. 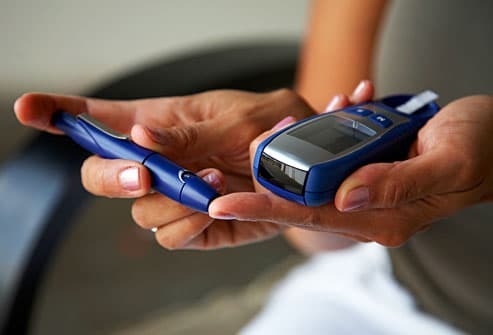 Diabetes Forecast, “The Role of Vitamin D in Type 2 Diabetes,” December 2011. Institute of Medicine: “Dietary Reference Intakes for Calcium and Vitamin D,” November 30, 2011. Lavie CJ. Journal of the American College of Cardiology. October 4, 2011. Medical News Today: "Link Between Successful Weight Loss and Vitamin D Levels." Nutrition.gov: "Questions To Ask Before Taking Vitamin and Mineral Supplements." Ramagopalan SV. Annals of Neurology. December 2011. 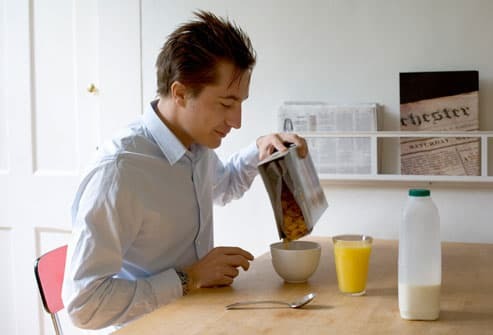 Science Daily, “Vitamin D Important in Brain Development and Function,” April 21, 2008. World Health Organization, International Agency for Research on Cancer, “Vitamin D and Cancer,” 2008.